That night the men, using nothing more than a five foot iron bar Bower used to secure the door to his picture-framing store, created a huge circle in the middle of the wheat. Over the next two years, the men continued to create large circles in wheat fields, mostly around the area of Warminster in Wiltshire, because it was, according to Bower, a “well known centre for UFO sightings”, mostly limited to mysterious lights in the sky. In early 1978, Bower noticed that they were planting a new wheat crop in an area known as Cheesefoot Head, which was located in a well-known beauty spot popular with tourists. That summer, when the wheat was sufficiently grown, the men came and made an 80 foot wide crop circle. 24 hours later, it was national news. To further their little joke, the pair approached some of the self-professed experts saying that they were wildlife enthusiasts who often trudged around the region and they’d be happy to keep an eye out for any more crop circles. Under this guise, the men would go make a crop circle and then place a few phone calls the following day telling the experts that they’d “found another one” in an effort to keep the hoax alive. Eventually, this became unnecessary as enthusiasts flocked to the region. In addition to stringing along the host of pseudo-scientists who became fascinated with the crop circle phenomenon, Bower and Chorley also took note of what real scientists were saying about them and adjusted their designs accordingly. For example, when meteorologists, who were specifically trying to debunk the same ufologists and pseudo-scientists Bower and Chorley were encouraging, suggested that because all the crop circles up to that point had been, well circles, they were likely caused by “downward-spiralling winds”, they began creating crop circles featuring a variety of geometric shapes. Though the designs of the crop circles became ever more elaborate, the materials Bower and Chorley used didn’t change much over the years. It was noted that the most sophisticated piece of equipment used by either man was a sighting device made from a loop of wire hung through the visor of a baseball cap such that it dangled in front of the left eye, allowing them to check if the lines they were making were straight. Other than this, their standard equipment was a plank of wood with some rope threaded through each end so they didn’t have to bend over to pick it up. 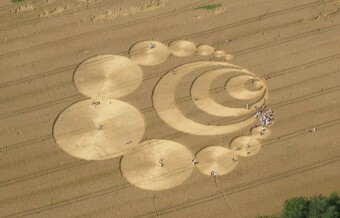 The designs for individual crop circles were usually drafted by Bower in his workshop. In 1985, about a decade after the two men first started creating crop circles, Bower’s wife became convinced that he was up to something when she noticed that their car’s odometer was unusually high- far more so than could have been explained by simply heading off to the pub with Chorley every Friday night. When Bower confessed that they’d been traipsing around the countryside flattening wheat, she didn’t believe him. To prove that he wasn’t lying, Bower asked his wife to design her own crop circle, which he then dutifully went and created in a nearby field for her. With his wife’s blessing, Bower and Chorley continued making crop circles for six more years until they both decided it was time to come clean. Other people made money out of the corn circles The experts, the farmers who charged entry, but all Dave and I got was a really big laugh. But its been a wonderful experience and I wouldn’t have missed it for the world. Reports of curious or otherwise unusual patterns appearing in crops have been noted as far back as the mid 17th century. Though evidence of what caused them is scant, experts are mostly in agreement they were caused by natural causes such as whirlwinds, animals or lightning strikes. 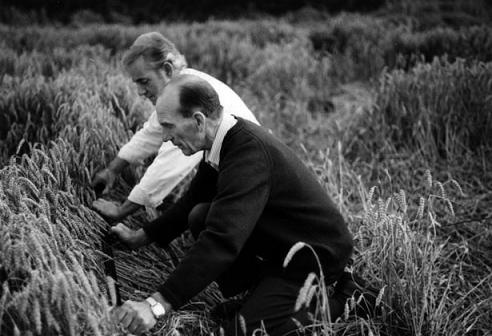 One aspect of the crop circles created by Bower and Chorley that baffled researchers for years is the fact that neither man seemed to leave any footprints or evidence they’d been there. When asked how they did this and whether it involved the use of special equipment like stilts, they revealed that they just walked carefully. 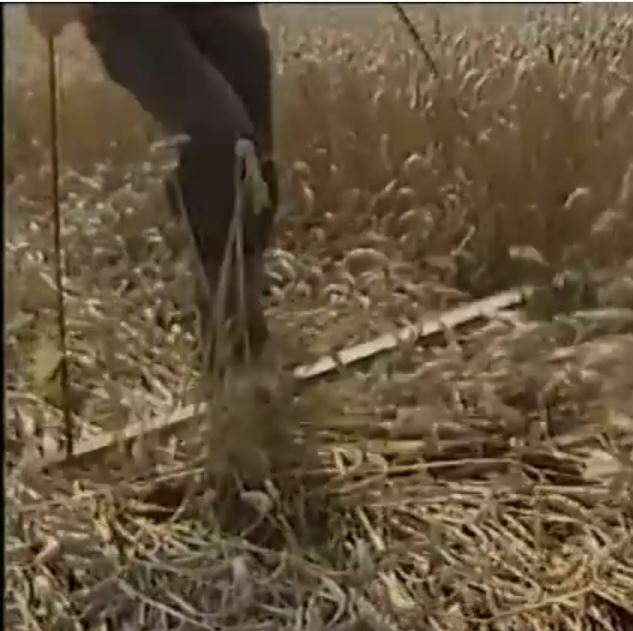 The fact that at times hundreds of crop circle enthusiasts quickly swarmed any new pattern that cropped up (in many cases to absorb the energies new circles give off…) also lent itself to masking any original footprints of the creators. This is dis-info, there is so much more to the story of the circles. There are differences between the real and fake ones its plain to see D&D stomped and broke the crops. While the real one continue to grow. There are many many more anomalies you should check out. There is a theory that D&D were paid to do this to discredit the researchers, who knew the difference all along. I agree. There are too many, too perfectly formed to have been created to two lumbering old men and a scaffold board. I saw them being “interviewed” on television but not anything as intensely as a politician would be interviewed, for example. I have seen a UFO and there was no mention of it in the local news despite flying towords the local airport when it suddenly shot upwards and out of sight in a split second. I have also witnessed something far, far more remarkable. The UFO could be explained as an unmanned military plane but the second incident was NOT possibly “man made”. Crop circles and UFOs are not mutually exclusive. This article isn’t discrediting the idea that UFOs may exist, rather telling the story of two men that publicized the existence of the crop circles they created, which first drew in the media. It’s also not suggesting the crop circles in general are all pranks, just again, the story of these specific individuals and mentioning that, naturally, there is a likelihood that others around the world have been inspired by this and imitated that behavior. Copy cats are a very common thing across a wide array of human behavior. What a load of rubbish. This article is pure B.S. MI5 disinfo ! Whirlwinds and old blokes with planks of wood? PMSL. Pull the other one, it’s got bells on.